I bought new blue shoes yesterday, on the way home from my first day of my new work, walking back from Westminster to Clerkenwell because of the tube strike and the puncture on my bike wheel. 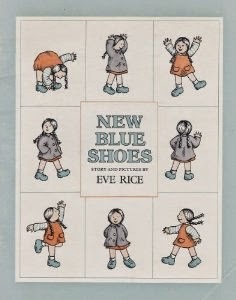 I went into a shop thinking (in the immortal words of Eve Rice in her classic children's book and one that has stuck with me through the years): "I want new blue, nice blue, nice new blue shoes." ... And I found some! What are the chances? Pop back soon to see them styled... And happy May Day to one and all! Oooh! They are indeed very "nice new blue shoes". Bravo for you; and what a lovely thing to do on your way home from the first day of your new work. Your post has made me smile too, with your reference (and picture) of Eve Rice's delightful book. I trust that you didn't stop on your way home, to waver, as Rebecca did after her defiant desire for nice new blue shoes, with "I think my feet will look silly in blue shoes. Maybe we should get a different pair of shoes. Maybe we should get brown shoes." But, of course, walking around at home later: "Mama?" said Rebecca. "Yes?" "Blue shoes don't look silly on my feet at all. I like them." "That's nice," said Mama. "I'm glad you like your new shoes. Blue is such a splendid colour." Thanks very much for sharing more quotes from the book! I don't actually have a copy so, though I wasted to include more, couldn't. I especially like "Blue is such a splendid colour." 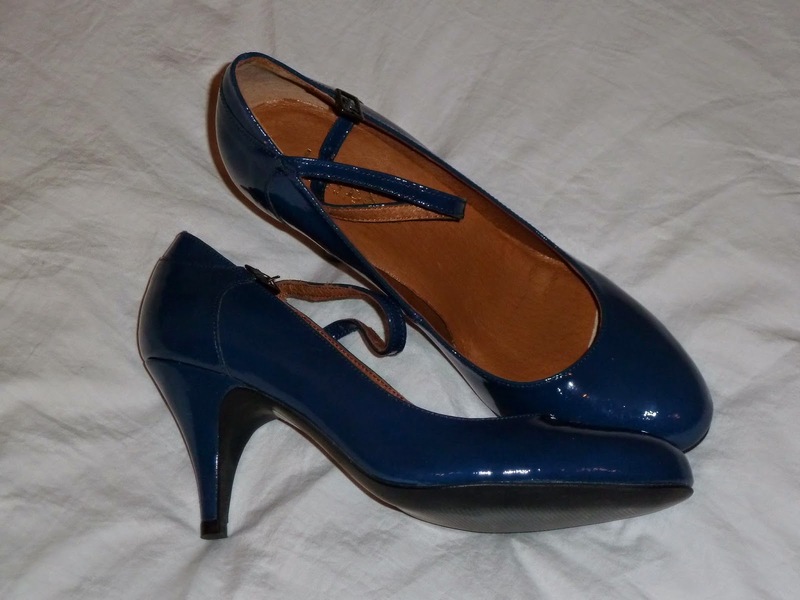 I did find another pair, without straps and with a dustier, darker blue that I considered for a while, as a more sedate pair, but I didn't waver once after I made my decision.